Mangaladevi Temple is an ancient temple South Indian State of Karnataka.It is a Hindu temple situated in city of Mangalore. This temple has its name after Mangalapura and eventually became famous as Mangalore or Mangaluru. 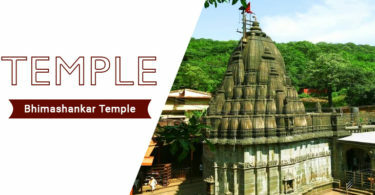 Temple is dedicated to the goddess Shakti who is in the form of Mangaladevi. Devotees can get Mangaladevi Temple Mangalore Darshan Timings with Pooja Timings & Schedule here at Darshanbooking. Basically this temple is built in Kerala Style Architecture and most of its structure is made of Wood. The significance or importance of the Mangaladevi Temple is that Mother Magaladevi granted special favours, especially on maidens. Pious maidens get husbands most suited for them. During Special attractions like Navarathri,Laksha Deepothsava and Annual Temple Festival the Darshan Timings, Mangaladevi Temple Pooja Timings & Aarti Timings may change. 1) The Karpura Arati will not be performed at Sri Mangaladevi Sannidhi between 10-00 a.m. to 12-00 noon. 2) Devotees who want to offer gold Jewelry, Sarees and other donations to the temple after getting the acknowledgement receipts for the same from the temple counter. 3) Devotees can get require information regarding marriages conducted the temple are requested to inquire at the Mangaladevi temple counter.